OBAR’s website features a very robust calendar. 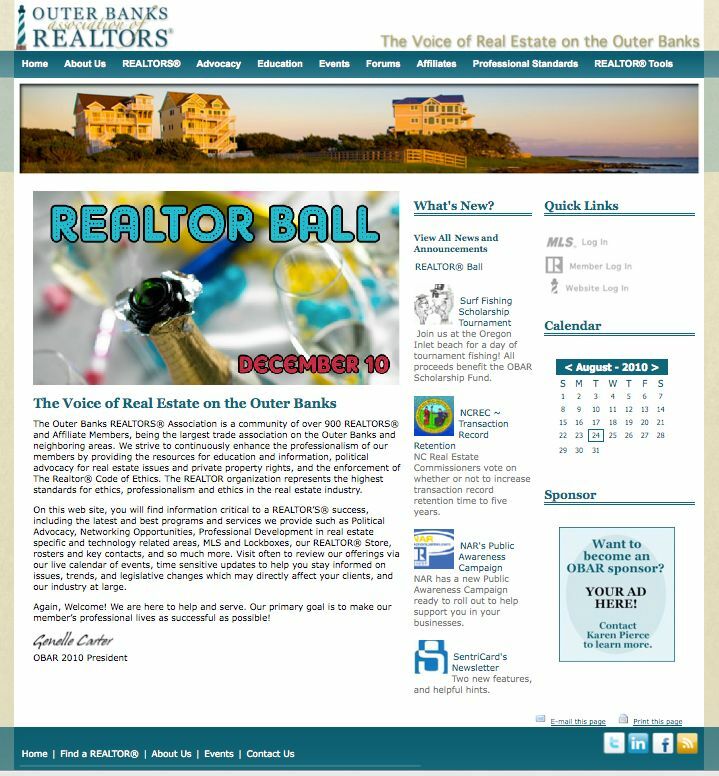 This website redesign for the Outer Banks Association of REALTORS® was a major upgrade in both user interface and functionality. 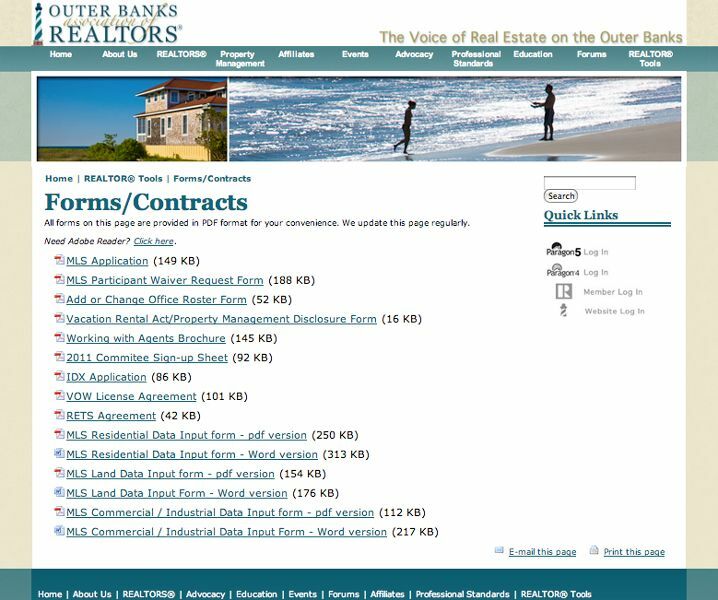 It was important to them at the time that they have a cutting edge website that attracted the local real estate market’s attention with tools and resources. They also wanted to monetize their website through various ways including integrating an ad management software where they can sell and manage ads on their site. 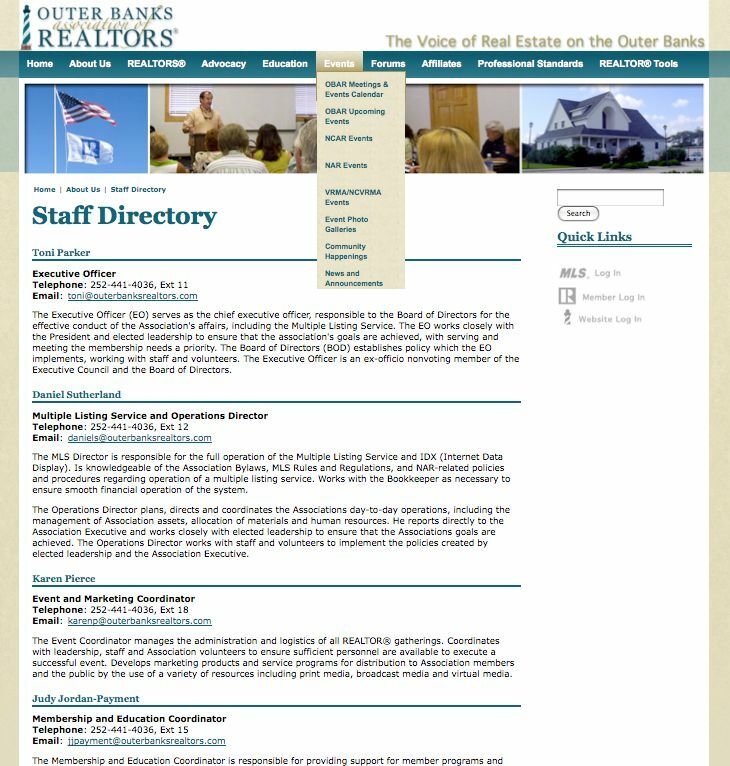 They also used a calendaring system to sell rented space in their conference and presentation rooms. 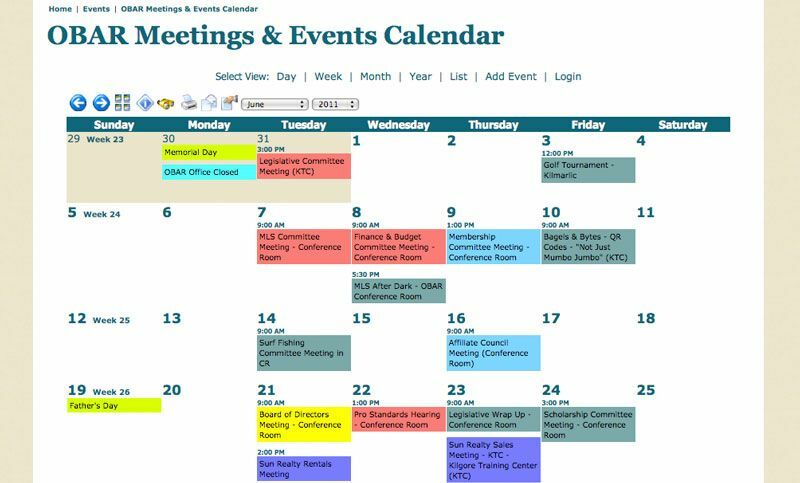 Members can get email or text reminders for association events and add events to their Outlook or phone calendars. 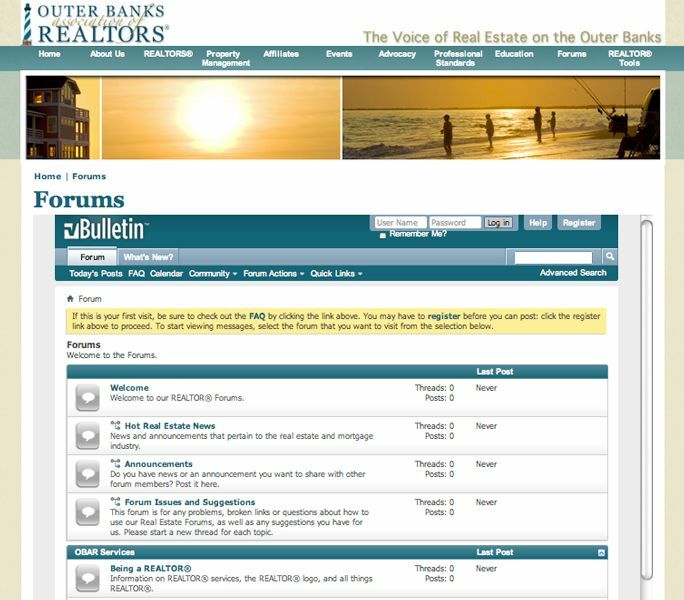 The site was built with our Content Management System, so staff can easily update text and images, manage the ad placements, add/edit the calendar, and update their blog.